Black and red cluster necklace. 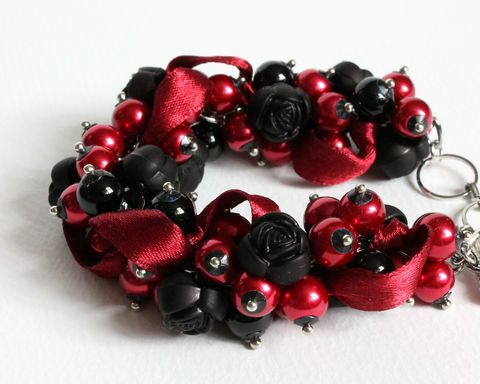 Color in black and dark red/ruby red glass pearls and matte black rose beads. Suitable for bridesmaid, for prom, banquet, wedding party or any dress-up events.